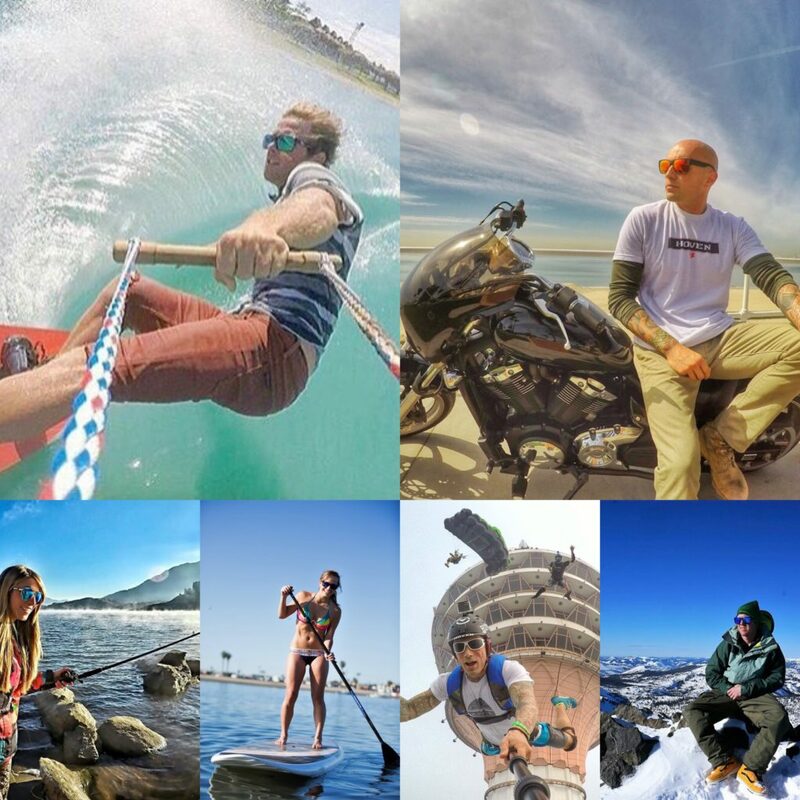 Born in San Diego in 2002, Hoven Vision lives and breathes West Coast action sports, and they deliver sunglasses that appeal to professionals and amateurs alike. Hoven strives to reach people with a true passion for what they do and how they live. Hoven visionaries know who they are and what they want: We are Hoven. Passionate. Independent. Legitimate. Wherever you are, whatever you’re into, and whatever the weather, we’ve got the eyewear. 1 :: These Shades are Innovative & Badass. And, THEY FLOAT! When we asked our Hoven sales and marketing rep for some promo photos, he sent us quite a few, and most of them were of real people having real fun in real situations. 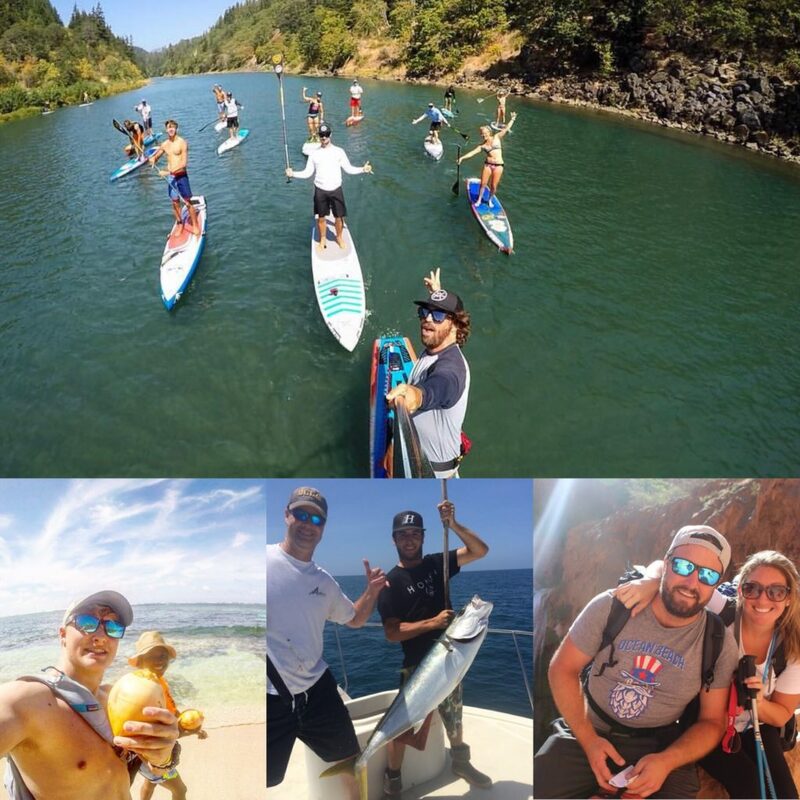 They aren’t kidding when they say that Hoven Vision isn’t just a sunglasses company; it’s a lifestyle. We’re also incredibly impressed with Hoven’s customer service and responsiveness. When we ask their team a question or place an order, they respond quickly, and time doesn’t seem to matter; our latest response came on a Sunday morning, which was completely unexpected and totally awesome. Hoven makes their sunglasses for professionals and amateurs alike. With different options and price points, you can get a pair of shades that will keep up with whatever adventure you have planned, no matter the intensity, no matter the speed. All Hoven sunglasses are constructed of quality materials, and most are polarized. Ever wonder what makes polarized sunglasses polarized? CLICK HERE to find out! 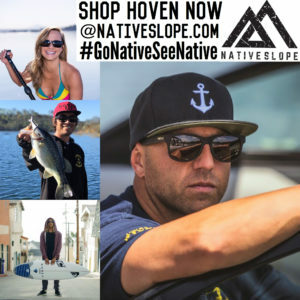 Hoven expresses their inclusive and authentic attitude best in their mission statement: Hoven has an agenda to connect broad audiences, from surf and skate to bikers and fishermen. Those who identify with an attitude rather than a sport and strive to represent a way of life in a way that reflects legitimacy and the ultimate authenticity. I’m obsessed with my Hoven Big Risky sunglasses, and so is everyone else. These shades grab serious attention. 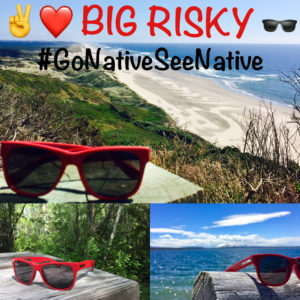 With my Big Risky sunglasses, the compliments come not only because the shades make a bold statement but also because they’re clearly made with consideration and skill. Whenever someone comments on my Big Riskys, I take them off and let the admirer hold them. They are handcrafted and made of quality materials, and you can immediately tell. Any pair of sunglasses that make me look and feel good while also keeping up with my active lifestyle is a keeper, and my Hoven sunglasses are my new favorites. © Native Slope and NativeSlope.com, 2017. Unauthorized use and/or duplication of this material without expressed and written permission from this site’s author and/or owner is strictly prohibited. Excerpts and links may be used, provided that full and clear credit is given to Native Slope and NativeSlope.com with appropriate and specific direction to the original content.